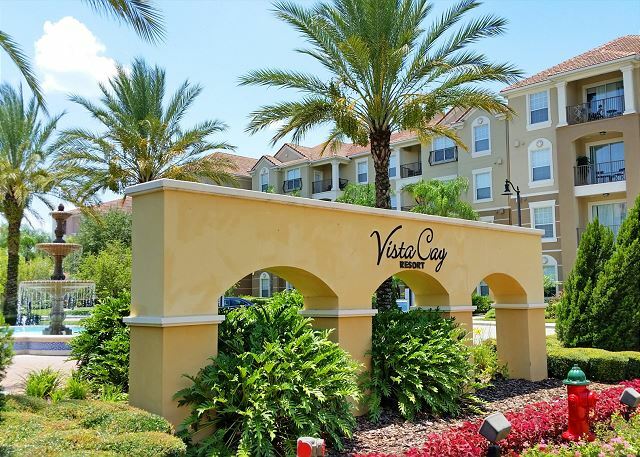 Enjoy your stay in Orlando in this newly updated 3BR/3.5BA town home located in the Vista Cay Resort! Decorated in a rustic-modern style, this town home offers your family of 10 luxury and warmth for the perfect relaxing getaway you've been looking for! The living room offers a sleeper sofa bed along with a 60" SmartTV! Connect your device to this TV and you have access to all your favorite TV shows and movies for you and your family to enjoy on a night in! With a fully equipped kitchen, you have everything you need to cook up your favorite meals! 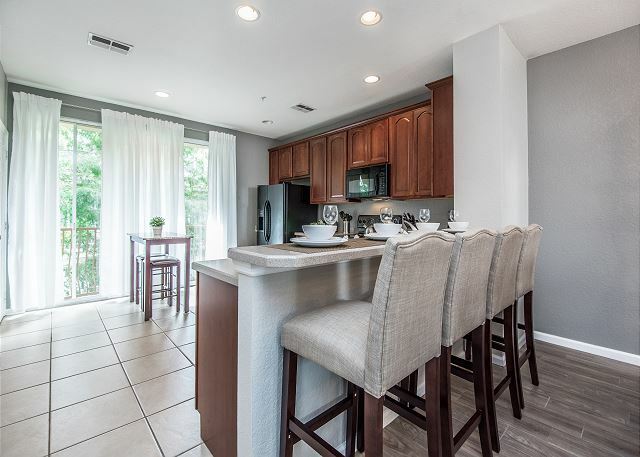 The dining room table offers seating for 6, and with 4 bar stools located at the breakfast bar, the entire family can enjoy delicious meals together! Each bedroom includes brand new individually pocketed coil mattresses with a memory foam top layer for the ultimate night's sleep! The master bedroom offers a 45" TV with a spacious en-suite master bathroom with a tub and double sinks for plenty of space to get ready for the day out in Orlando! The full bedroom offers two full size beds with a 32" TV and en-suite bathroom with a tub. The queen bedroom located on the 1st floor offers a 32" TV as well, and also has its own spacious en-suite bathroom with a walk-in shower. This unit is also equipped with a full size washer and dryer to offer you the ability to pack light for your trip! "We attend trade shows at the Orange Co convention center frequently. Instead of staying at an expensive hotel on I-Drive for less money per night we stay in a nice 3BR condo with full kitchen, etc. " " Very clean, quiet, spacious, good place to share with friends on vacation! We didn’t explore the resort much. Conveniently located about 15-20 minutes from Universal a little more from Disney. A Publix store, Subway, Walgreens are nearby for all your immediate needs!" "This townhome was perfect. The little details and touches were amazing. My family stayed. My nine month old granddaughter came down unexpectedly. The units come with a stroller and a crib. Amazing. The price was so much cheaper that staying at a hotel. We can't thank the staff enough. If you can deal with the small salamanders running around in the units you'll be fine. They were actually rather cute"
"we stayed here for a business trip to Orlando. It was perfectly located! Close to all the amenities, but off of the main action for a nice quite rest. It was clean and welcoming. 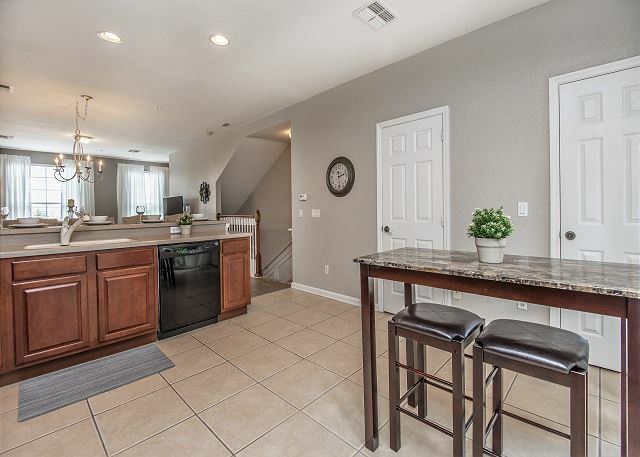 We would defiantly stay here again "
"Awesome townhouse with all the amenities in a convenient location to all Orlando has to offer!!! Would definitely stay there again." "Great property. Top notch service." "It was clean,good location, good service,I recommended this property." "Rental could not have been easier! House was beautiful and close to all attractions! We didn't even use our car, it was cheaper to Uber than to park at Universal! Tip, if using Uber take the boats at City Walk to the Portofino Bay Hotel then call your Uber to pick up in front of hotel. Way quicker and much easier to identify your ride. Will definitely go again! " "We loved staying here! 3 levels so perfect to share and have your own space! Very close to everything you will be doing in Orlando. Definitely would stay again!" "We had a great experience. The condo was perfect for our needs. 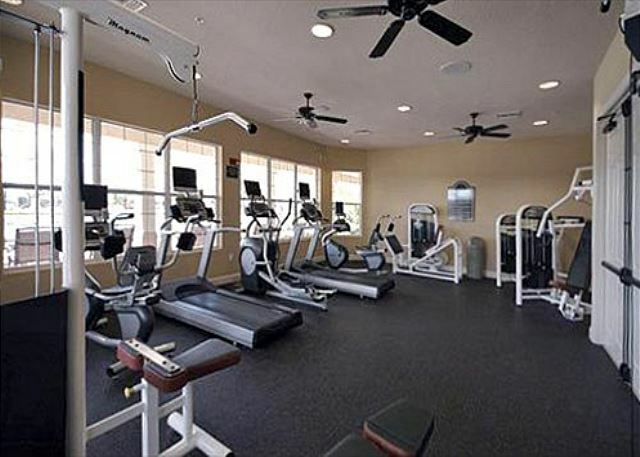 Close to the Convention center, easy to access and great amenities. " "The house is super clean and spacious, also very well located. The manager is responsive. " "My family and I were very impressed by the cleanliness and appointments in our condo. We wil definitely return next year!" "Condo was very clean and nice. Short distance from both Universal and Disney. Had to call for minor maintenance and issue was repaired the next day. Overall pleasant stay and condo was exactly what was advertised. Definitely would stay again. " "I have to say that this place was a very nice experience and comfortable vacation rental. We had no issues at all with the location or the condo!! Very nice décor and everything we needed was there for us. Thanks for a great place that you provided for us :) Will be back and looking to enjoy it in the future!! "The stay was fantastic from beginning to end. The rental was beyond my expectations, it had everything it promised and was so convenient. I loved the added security of being gated. Overall awesome first time rental home experience!!" "It was amazing and made our vacation so much fun! This house is beautiful! " " It was a great three-story townhouse. This worked a lot better than having to hotel rooms, there is a bedroom on the first and third floor with a common area in the middle. This especially works well if you've got more than one family staying together and don't want to be too far away but still have the ability for kitchen and the living room. As close to being at home if you can be. " 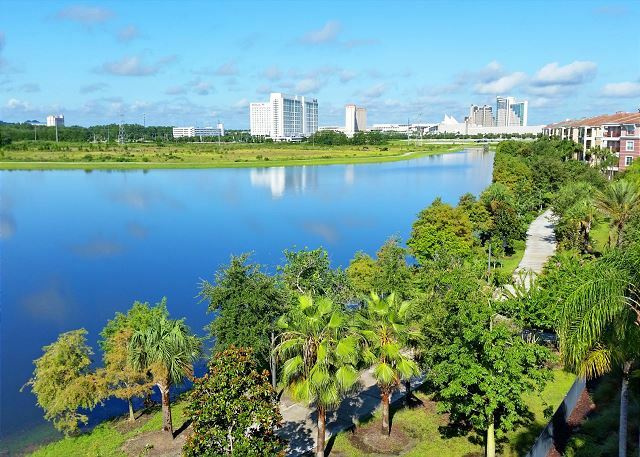 "Myself and two other co-workers came to Orlando for a conference. Rather than staying at a hotel, we each had our own bedroom/bath at half the price! Everything was clean and as pictured. Loved the location. Would definitely do it again!" 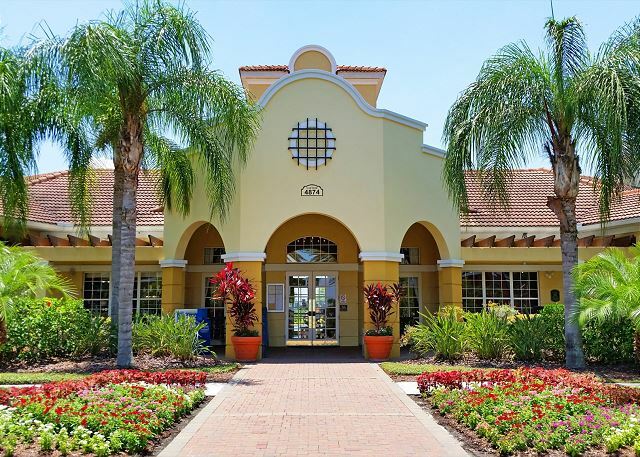 "Extremely nice town home not far from Disney. It's perhaps 10 minutes from Disney at most. Didn't expect two flights of stairs, but they're not that much trouble. Kitchen is well stocked and everything is exactly as you see it in the pictures. Nice place, huge in fact and very comfortable. Beds are great and the upstairs bedrooms are beautiful. I would recommend this to anyone looking for a reasonable place outside Disney World. It's also easy to find and the area is safe and well maintained. There is a Publix supermarket right around the corner." "From beginning to end, my stay At Tideview was a memorable experience. Check in was very easy. The property was breathtaking as described and clean. I would definitely book and refer this rental property in the near future!" "The condo was great, it had everything we needed and more! I loved how we were able to book the day of and it was at a good price. My family and I enjoyed every second of it and it was really close to all the attractions." "Lovely, clean, modern, newly decorated and furnished. We were here on Thanksgiving and cooked our traditional Thanksgiving dinner. The kitchen was nicely furnished which made cooking very easy. All three bedrooms included a big bathroom and TV. Large TV in the living room was a bonus. WIFI worked very well throughout the entire house. Quiet neighborhood. Easily accessed from I-4. Grocery and convenient store within walking distance. The garage, however, was very small. We have a full-size SUV and it was too tight to park in the garage, but didn't mind leaving the car parking outside; the development is gated. We loved our stay and it was so much better than a hotel room. "